Mustang Seal Solutions specializes in manufacturing custom kitting for the oil and gas industry. 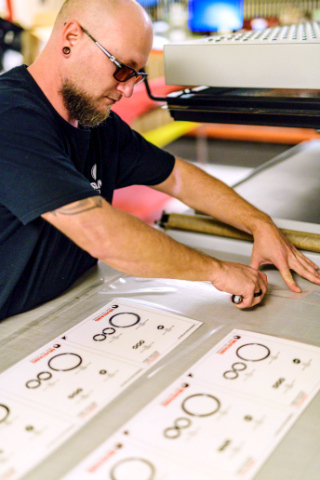 Mustang Seal Solutions offers Custom Kitting Services to meet a wide variety of our customers’ needs. Our kits are designed to allow an operator or technician to use the parts or components in the order they need to use them in. Our team will collaborate with you to design a Kitting blueprint customized to your individual needs and made to answer your company’s specifications. Customers seek out Mustang Seal Solutions because of our professionalism, quality service, affordable prices, and effectiveness. We source components and prepackage them for our customer as efficient as possible. We will either draw or cut spaces in the kits to ensure you have all parts needed and will supply all documentation required for each component within the kit. What is the benefit of a kitting? Kits are designed to cut cost by decreasing your Supplier Base, Inventory, Warehouse space, Receiving, Inspection, invoicing and much more. How can you kit for maintenance? This requires you specify what maintenance you need. In a car engine overhaul, for example, we would prepare needed parts for replacements such as nuts and bolts, gaskets and seals. This way, the maintenance personnel will be equipped with all the necessary tools. What are your sourcing capabilities? Mustang Seal Solutions has over 175 years of combined experience in sourcing. If we can’t make it we can find it using a list of Global Mustang Seal Approved Suppliers.